Have you ever sat under an enormous white pine and felt the healing energy she gives us or taken a few pine needles,or a small twig and scraped the bark off and smelled the clean white scent she offers us? 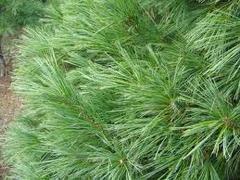 Pine is considered a sacred tree throughout much of Europe and many American Indian traditions. To the Iroquois, she symbolizes a balanced life, truth, peace and a clear life purpose. The Seneca people see her as a dream of peace for all beings and many of the cultures believe that the Spirit of the Forest lives in the old pines. After the senseless murders last week in Newtown, CT, White Pine seems like the plant we should be working with right now.